Stirling Swimming was established in 1976 and is among Scotland's best swimming clubs having produced many outstanding swimmers over the years. The Club is affiliated to the Scottish Amateur Swimming Association and competes within the West District. The Club welcomes swimmers keen to develop their talents, whether at the start of their swimming career or at a more advanced stage. Swimmer Development Pathway: The Club supports and encourages swimmers from the early stages of developing their basic skills and techniques, the foundation for success, up to participating in regional and national squads. The Club has a strong partnership with the University providing a fully integrated pathway for those swimmers who want to go all the way to elite-level swim programmes. Facilities: the Club enjoys some of the best training facilities in the UK, being based at the prestigious National Swimming Academy at the University of Stirling (photo left) with its 6 lane 50m pool dedicated for training purposes and the adjoining gym facilities. Stirling Swimming also trains at The Peak, Stirling’s modern, integrated sports village with its 6 lane 25m pool, and has access to training pools at Stirling’s new High schools. Coaching: A critical success factor in the Club’s growth and performance has been the integrated approach it has developed with Scottish Swimming, Stirling University and Active Stirling, the body responsible for delivering sport and physical activity in Stirling. The Club has a strong and committed coaching team, led by Stirling Integrated Performance Coach, Kerry Wood, who represented Scotland at Commonwealth Games level. The Club continues to grow its own coaching talent with many ex-swimmers deciding to use their experience, skills and qualifications to help develop the next generation of swimmers. Management: The Club has won several awards for its governance, management and working practices including being awarded Charter Club status by Stirling Sports Council and SwiMark status by the Scottish Amateur Swimming Association. The Club has also received direct investment from national sponsor, British Gas, in recognition of its strategic development plans. 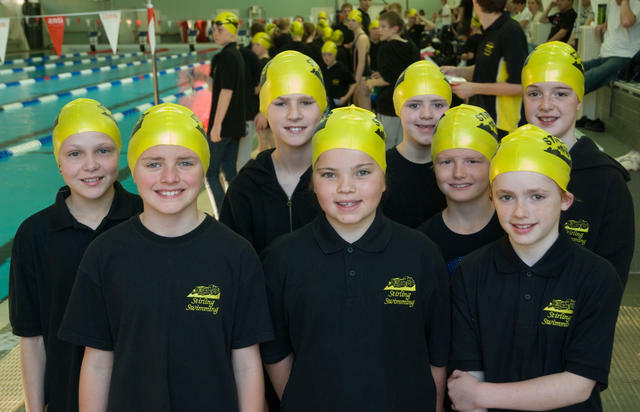 Stirling Swimming is a friendly club, in which swimmers, coaches and volunteer parents work together to achieve individual and team excellence. If you would like to know more about the club, please send an email to the appropriate person listed on the contacts page of this website. Trying out this blogging thing for a wee change and will be hoping to continue to use this medium for any updates on life as Stirling Swimming's President. It was a busy weekend!!! Time to reflect after a busy weekend for Stirling Swimming Club…..
Just in case there is any confusion the starts sessions this Saturday is 8-9am at the University pool for all squads.